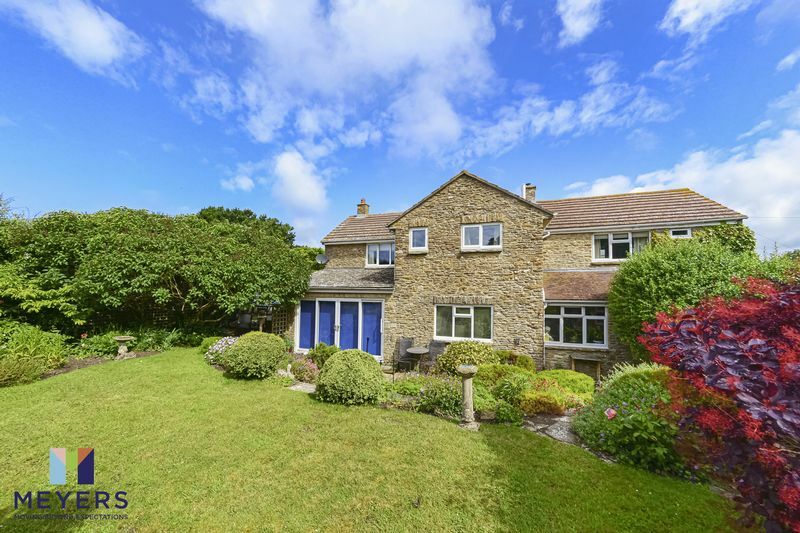 A short distance from BEAUTIFUL COASTAL WALKS with VIEWS TOWARDS THE SEA this THREE BEDROOM property has a GENEROUS SOUTHERLY ASPECT GARDEN, master ensuite and THREE RECEPTION ROOMS. 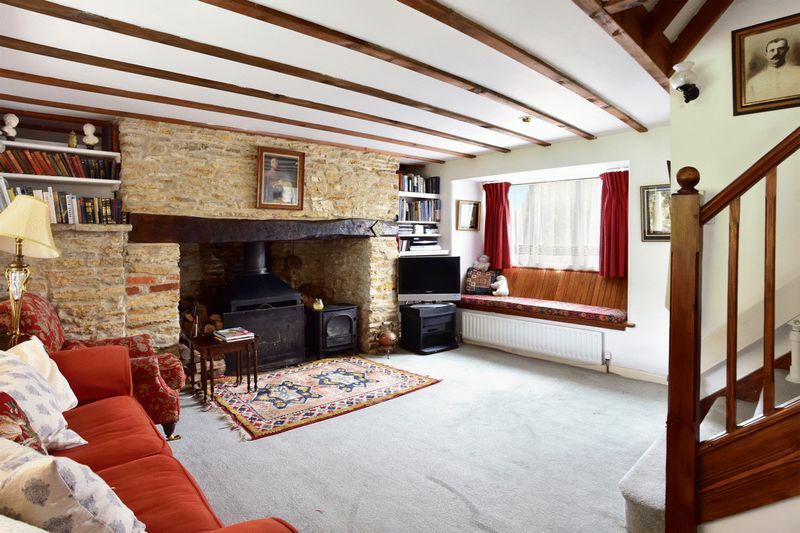 There are a WEALTH OF CHARACTER FEATURES throughout including an INGLENOOK FIREPLACE, offered for sale with NO FORWARD CHAIN. A three double bedroom character cottage situated in the idyllic village of Langton Herring, a short distance from the coastal town of Weymouth and The Fleet. 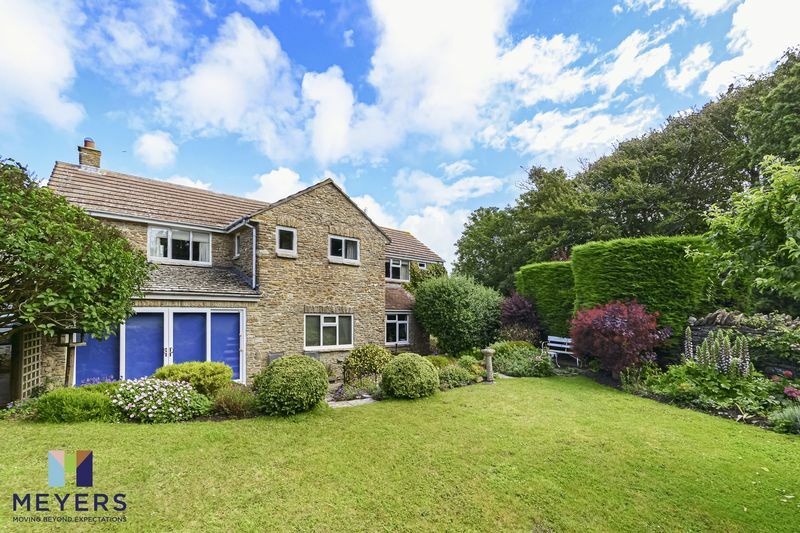 This property offers three reception rooms, a master ensuite, extensive gardens and a wealth of character features throughout. 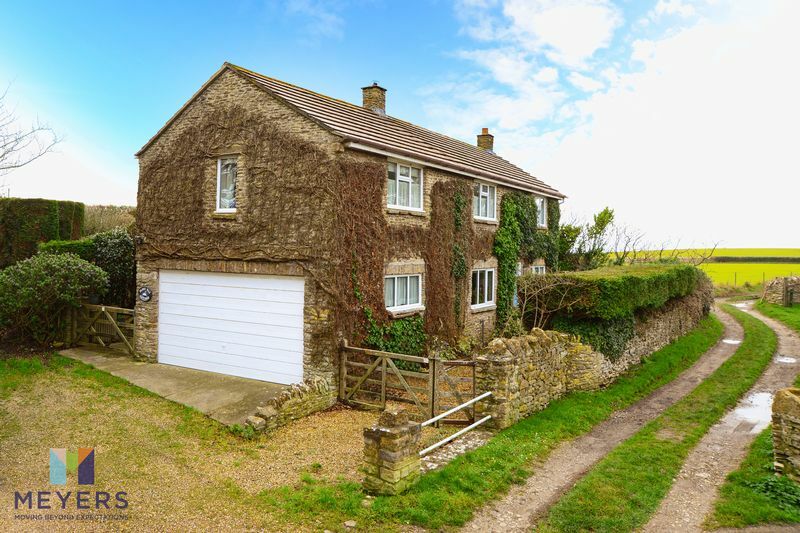 The property is offered for sale with no forward chain and will make an ideal family home or country retreat by the coast. Upon entering the property you are greeted by a wide and spacious entrance hall, which has a more recent construction than the main part of the property and which currently offers ample space for boots, shoes and coats, along with a low level storage cupboard and a window offering views over the garden. From this room you have direct access into a downstairs WC, the garage and the kitchen. 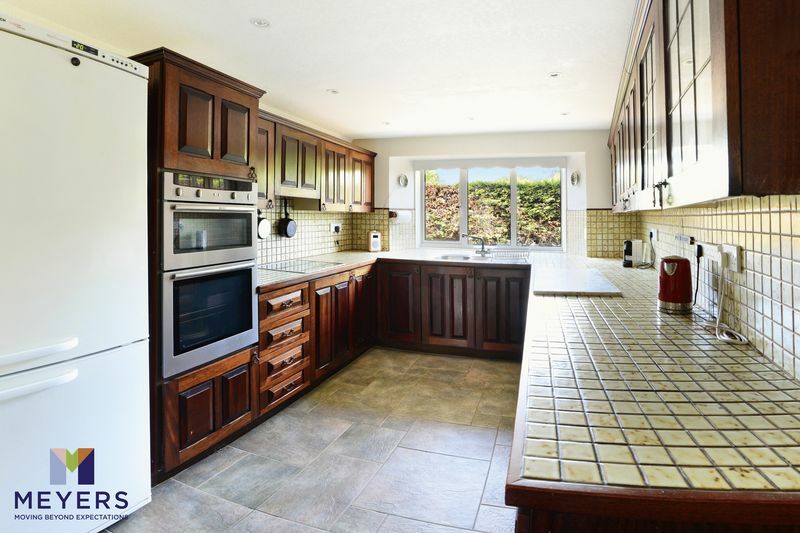 The kitchen is currently fitted with a range of wall and base units with wooden doors and a tiled counter top. There is a sunken stainless sink with drainer fitted into the worktop and looking out of the window onto the front garden along with high level fitted Neff cooker, space for a fridge freezer and a fitted four point Baumatic electric hob. There are spotlights fitted into the ceiling and a dado rail fitted onto the walls not taken up by the tiles. The kitchen leads directly through to the dining room, which main feature is an exposed stone wall adding a great feel of character to the cottage. 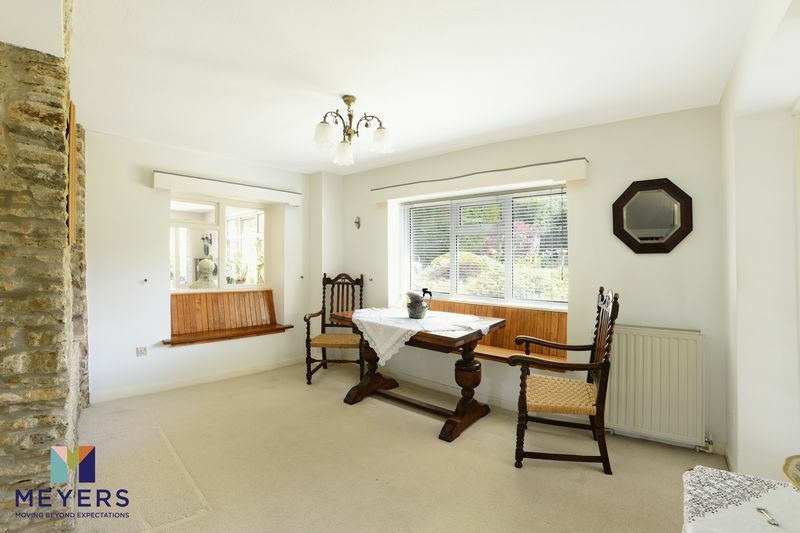 There is an inset on this wall providing storage space or display space along with plenty of room for a table and chairs with an ideally placed window seat proving extra seating space. This large window overlooks the gardens to the south and ensures that plenty light of comes into the room. 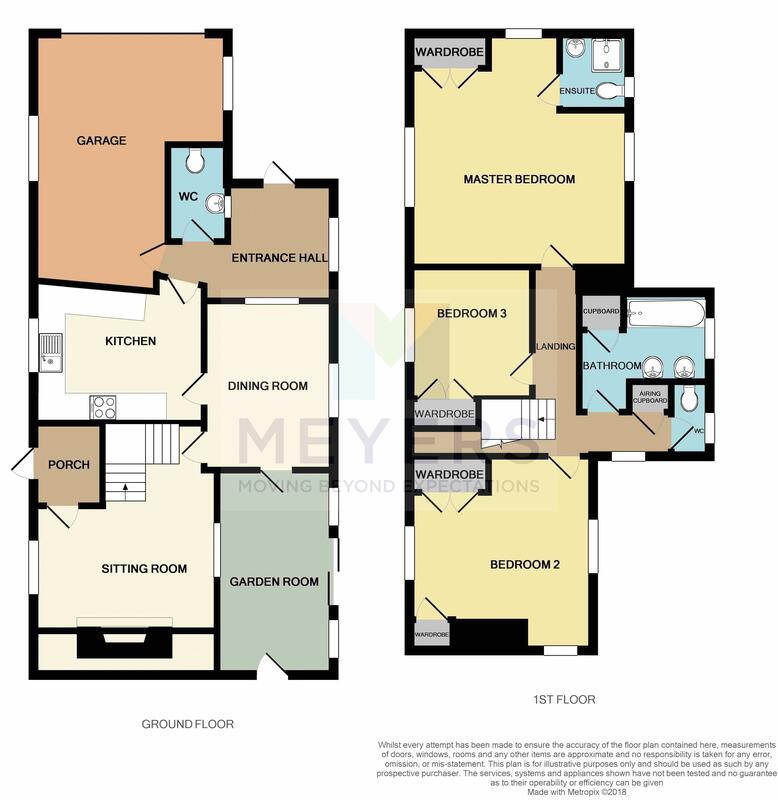 The sitting room can be accessed via the dining room or alternatively through a separate front door leading through to a small lobby on the side of the property. A large inglenook fireplace is the main feature of the sitting room with stone hearth, a feature wooden beam and a large stove adding a great feel of character and providing an excellent heat source whilst creating a cozy environment in the cold winter months. 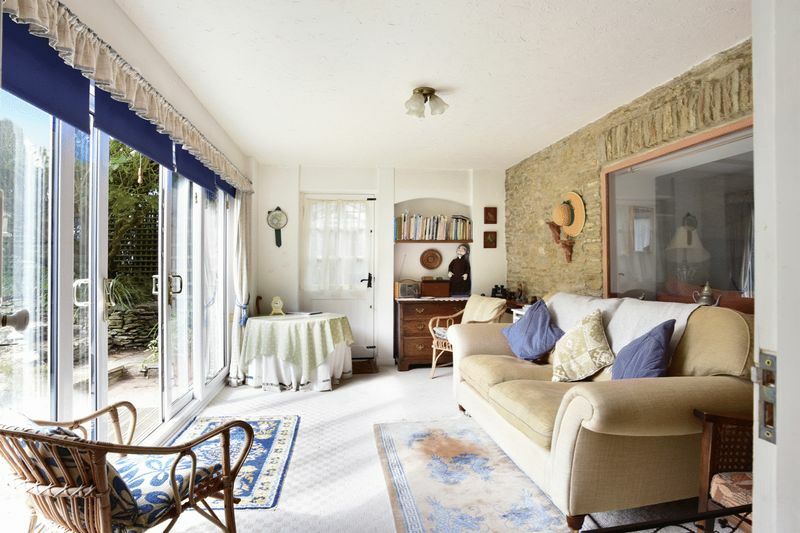 There is a large window seat along with plenty of space for sofas and an internal window on what would have once been an external wall looking through into the garden room allowing in plenty of light throughout the day. This garden room can be accessed via the dining room or alternatively through double sliding doors from the garden. There are two exposed stone walls and an electric heater enabling the room to be used throughout the year. 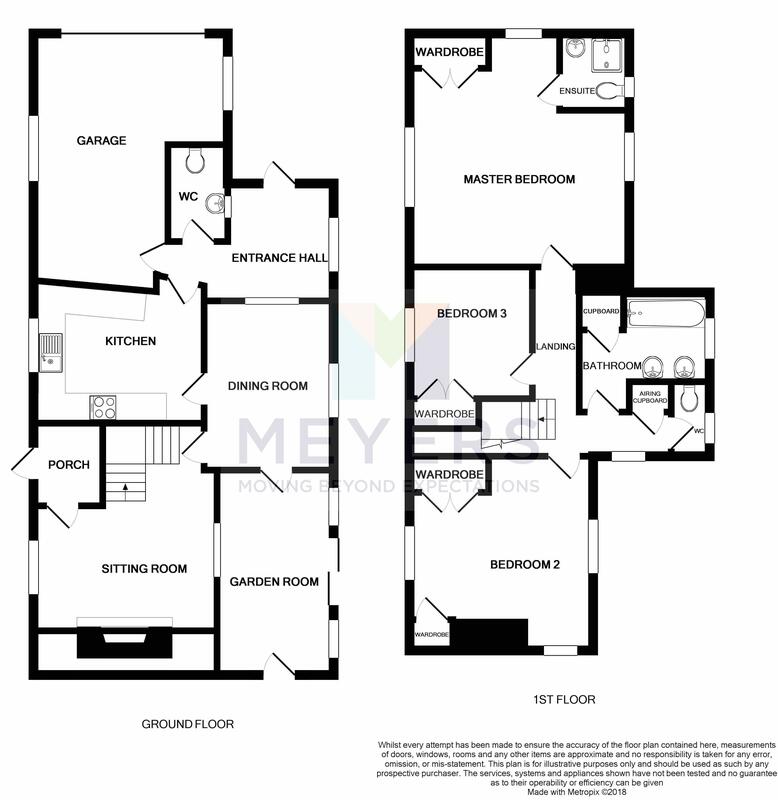 There is plenty of space for a sofa and the room offers a variety of uses to the occupier. 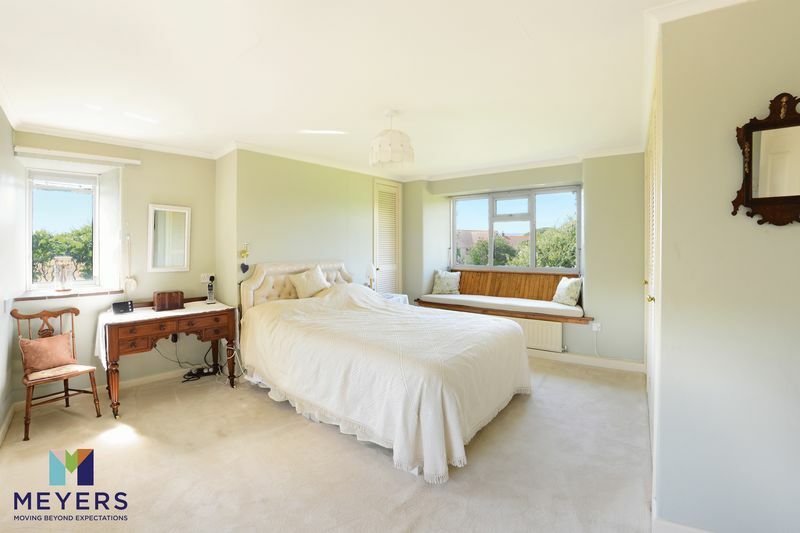 Upstairs the master bedroom is situated at the front of the property and provides an excellent space for all bedroom furniture. 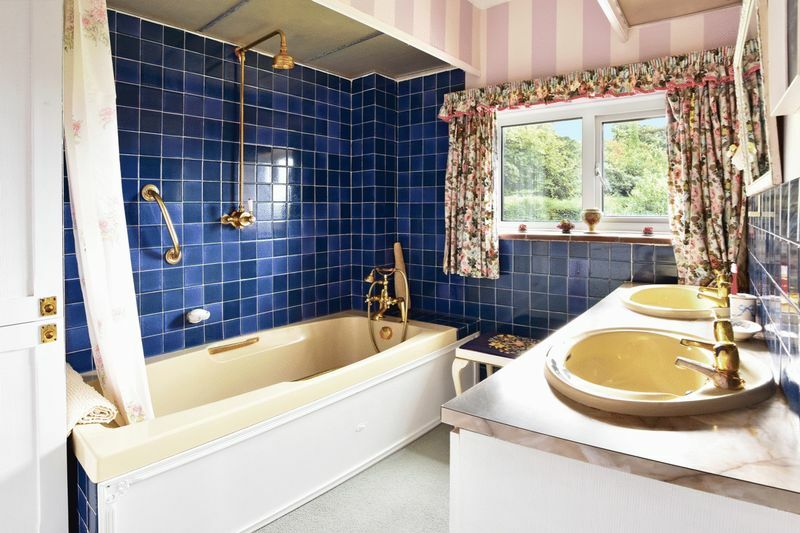 It benefits from an ensuite built into the corner of the room, which contains a WC, sink and walk-in shower, along with triple aspect windows overlooking the village to the north and the gardens to the south. 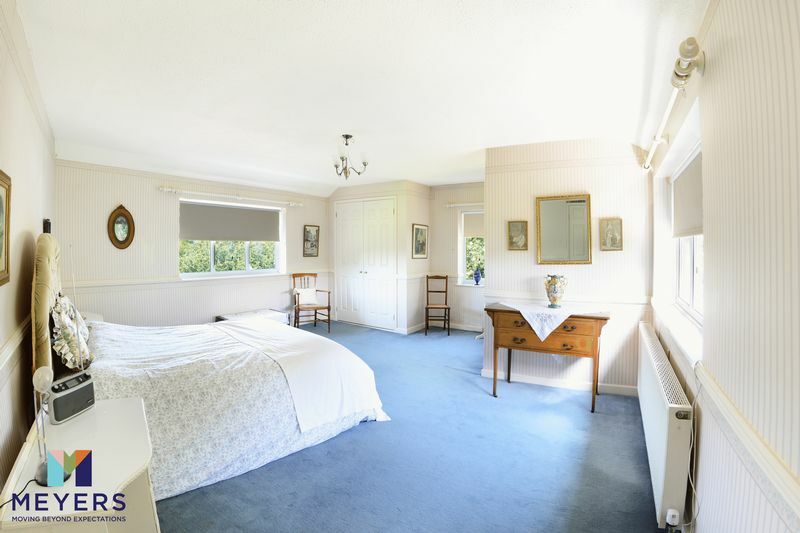 The second bedroom is situated at the other end of the property and offers further space for a double bed along with two floor to ceiling fitted wardrobes with plenty of space for clothes and also benefits from triple aspect windows with two further window seats providing a lovely space to sit and enjoy the sun. There is a window on the side of the property which offers fantastic views of the sea over the Fleet to the southwest as well as the fields. 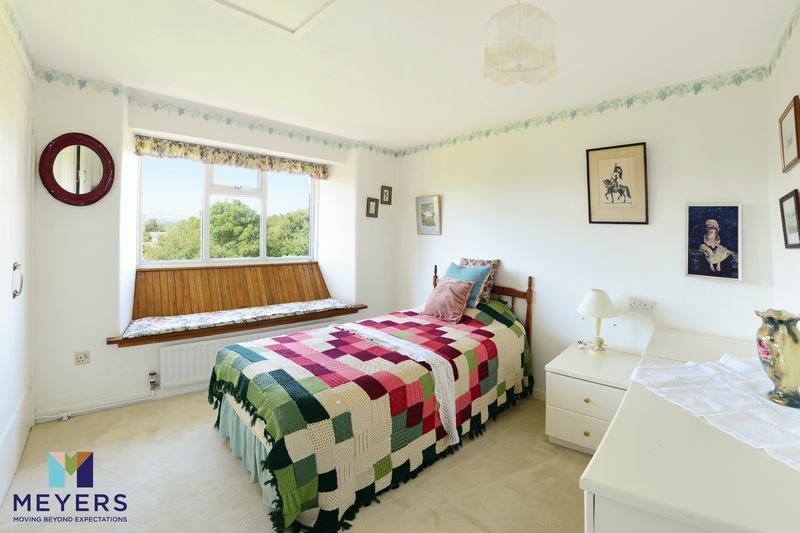 The third bedroom, whilst smaller than the other two, still contains ample space for a double bed as well as plenty of built-in storage with a low-level fitted chest of drawers, bedside table and floor to ceiling wardrobe giving plenty of space. The window also benefits from another window seat and offers a wonderful view over the whole village and the hills and fields to the north with Hardy's Monument visible. This room also contains the loft hatch as well as access to the cupboard over the stairwell and makes for an ideal child's or guest bedroom. These bedrooms are connected by the hallway, which offers built-in shelving, bookcases and a feature stone archway which leads through to the bathroom. nThe bathroom is currently fitted with a panel bath with shower attachments over and two vanity unit wash hand basins with storage underneath. The walls are partially tiled and the window looks to the south over the garden. There is a large storage cupboard providing plenty of space for towels or a linen basket and the WC is housed in a separate room at the back of the property next to the bathroom. The rear garden faces to the south and is split into several different areas offering fantastic space to sit and enjoy the sunshine. The garden is bordered on one side by a footpath leading to the Fleet and on the other side by fields and is enclosed by tall and private hedges. There is an initial patio area which is accessed either from the front gate or from the sunroom. nFrom this initial patio there are large planting beds occupied by mature shrubs and plants and a few steps leading up to a large lawned area with a mature apple tree and remnants of the old cottage wall. This then leads to a small pathway bordered by mature bushes leading through to a further lawned area, which the previous owner at one point used as a large allotment planting bed, but which has now been cut back and could be put to a variety of uses. To the side of the property there is a large greenhouse offering plenty of space for potting and planting. The garden faces to the south and can enjoy sun throughout the day, though several large trees to the east may take away some of the morning sun. The bush on the western side of the garden border could also be removed offering views over the fields and fantastic views of the sea and towards West Bay and Lyme Regis.